Girls, have you ever seen a live dragon? Here and I have not seen. But still know that it's green, and castles high and beautiful. Let's get into this game will figure out how dragon looks and razukrasili it in their paints. Grab a brush and choose a color for the dragon in the coloring book. And in the game there is a castle. Sorry no Princess. But the game is very good! 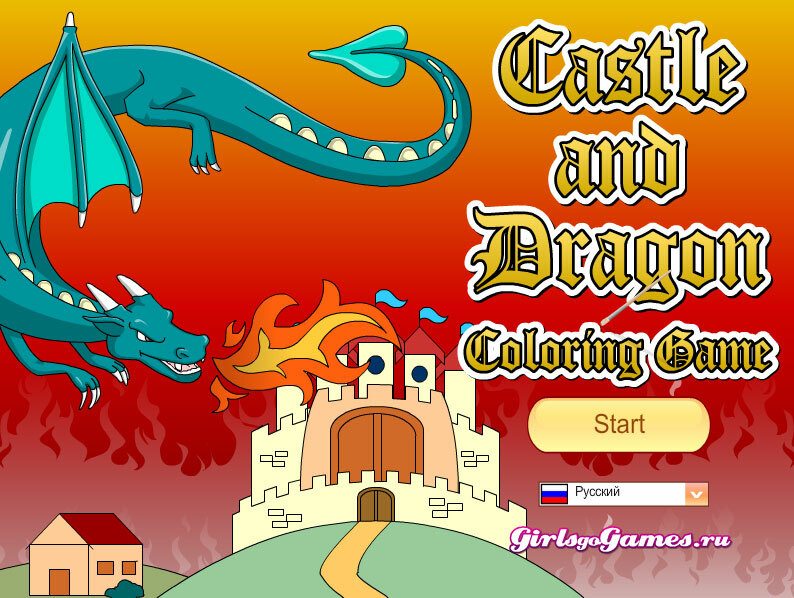 How to play: in this coloring game with dragon you can choose a new color for the dragon and castle. Use the brush and paint right to paint everything you see in the game. Played: 28053. Added: 8-01-2016, 18:07.